Burbank, CA & Claremont, CA – Flappers Comedy Club is looking for schools, churches and family friendly nonprofit organizations that need help fundraising. Every Saturday from 4 to 6pm in Burbank and Every Sunday from 4 to 6pm in Claremont. 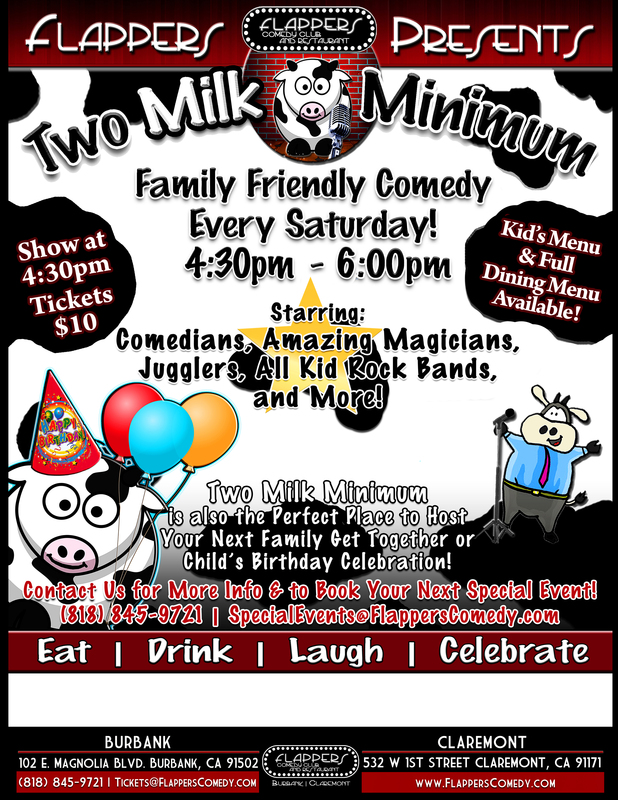 Flappers Comedy Club has dedicated their beautiful state of the art showroom to a comedy show for families called Two Milk Minimum and we donate a portion of the proceeds from each show to non-profits, schools and other charitable organizations. 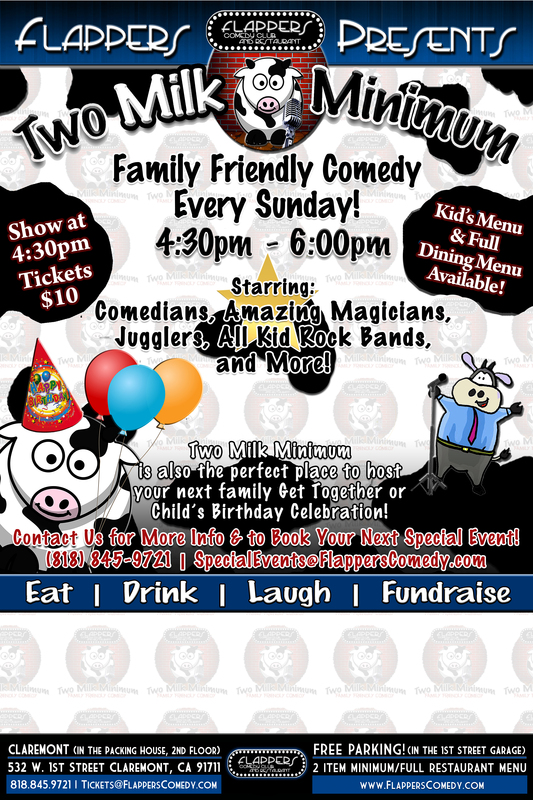 Two Milk Minimum, a 60 minute show features a rotating cast of outlandish, zany, and amazing comedic kids, magicians, jugglers, musicians, improv artists, puppeteers, and novelty acts. Each week there’s something new and playful to see. The performers have been featured on networks such as Nickelodeon, Disney Channel, and Cartoon Network, and have included, Joseph Tran (The Magic Castle), Corey Edwards (Hoodwinked! ), and Dee Bradley Baker (SpongeBob Squarepants). Resident host Michael Rayner has performed his juggling show all over the world, at every public library in the county of Los Angeles, and on television including The Late Show with David Letterman, Attack of the Show, and Sesame Street. Flappers also offers Improv and Stand Up classes for kids and teens. Each course culminates with a student showcase during the Two Milk Minimum shows. 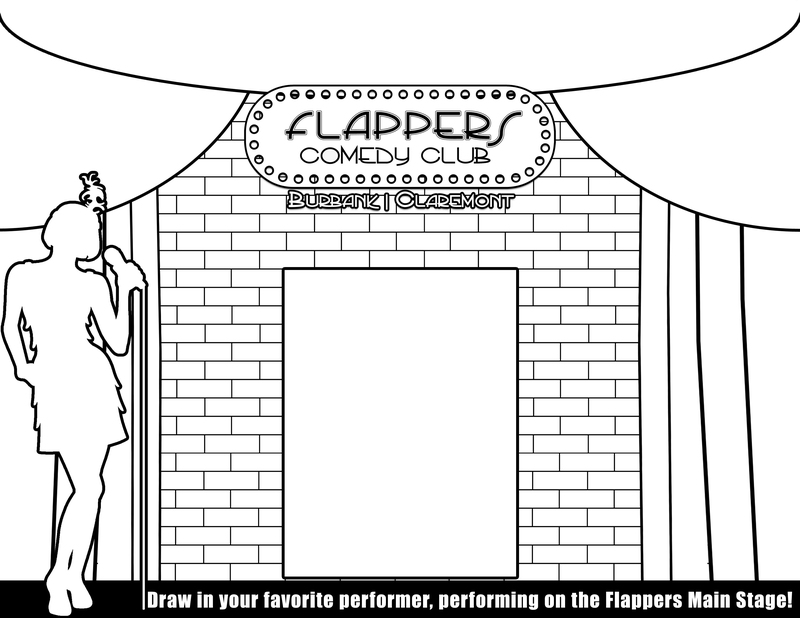 Flappers has locations in Burbank and Claremont. Doors open at 4:00pm to offer our full menu for grown-ups and a Super Cool Kids Menu which includes chicken nuggets or mini burgers and fries, mac & cheese, and much more for only $7. The show is the perfect place to celebrate your kids’ birthday party, you can even bring your own cake and there’s no cake corkage. Show tickets are only $10, and kids under two get in free. The location has free parking at Sears or Ashley Furniture across the street. Tickets, reservations, and more information can be secured online at www.FlappersComedy.com or on (818) 845-9721. Flappers Comedy Club & Restaurants in Burbank and Claremont are owned and operated by two entertainment industry veterans, Barbara Holliday and Dave Reinitz. In addition to invigorating two Southern California neighborhoods with the clubs’ vibrant programming, classes, and dining options, Flappers hosts weekly fundraising events for schools, non-profits, and social service organizations. Barbara and Dave are committed to bringing nationally recognized talent as well as new faces to the stage, to promote diverse and progressive ideas through the art of comedy. Show Tickets: $10.00. Can be purchased on website. 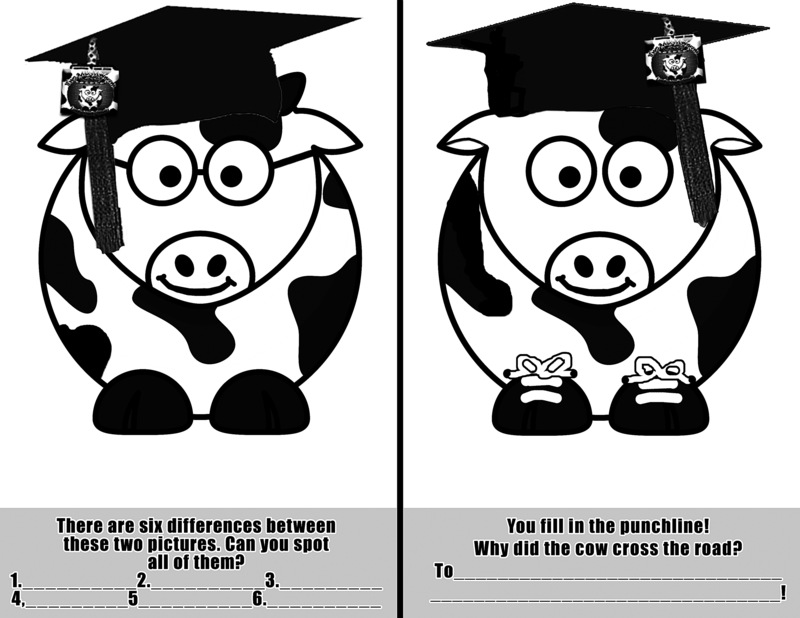 Click HERE to fill out a Two Milk Fundraising Request Form.